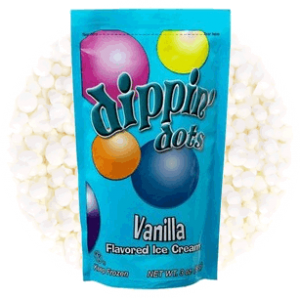 Dippin' Dots at Sweet Savannah's! 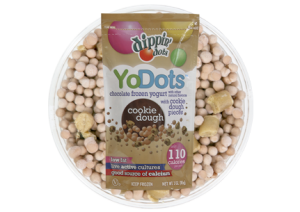 Comments Off on Dippin' Dots at Sweet Savannah's! 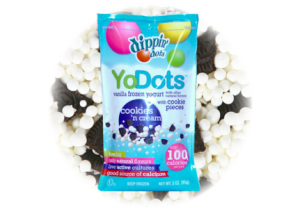 Coming in a variety of flavors, Dippin' Dots ice cream and yogurt (YoDots) are not only fun to eat, but also are so delicious because their flavor and freshness are locked thanks to a special method of flash-freezing. 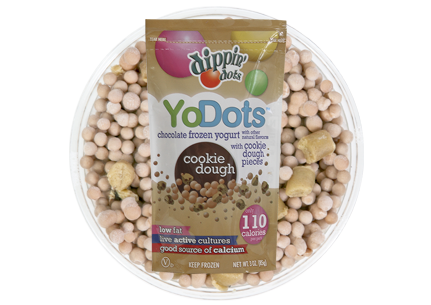 Find out more about Dippin' Dots! And last but not the least - we are offering Soft Serve Ice Cream for true Ice Cream lovers! Free 8 oz Cup for A's & O's! Comments Off on Free 8 oz Cup for A's & O's! We love hearing about your success! Are you straight-A or straight-O student? 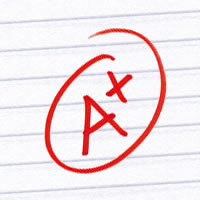 Show us your report card, and get a free 8 oz cup of Froyo! Hey! Phi Delta Epsilon is pleased to announce that we are partnering up with Sweet Savannah’s Frozen Yogurt and Toppings on Nov. 4th to help raise money for the Children’s Miracle Network at Kosair Children’s Hospital. Every year, we raise money for Children’s Miracle Network so that children may receive life-saving surgeries and treatments without regard to the family’s ability to pay. The money that is raised is used specifically at Kosair, so every penny that we can raise goes toward the care of sick children, many of whom come from KY and southern IN. Sweet Savannah’s Frozen Yogurt and Toppings is donating a generous 10% of the daily sales, so come on out and enjoy some frozen yogurt while also giving back to our community and our children! Mercy Academy is proud to present the St. Jude's Walk Fundraiser at Sweet Savannah's! Visit Sweet Savannah's on Outer Loop on Monday, October 14th and help out the cause! All donations are appreciated. Anyone who donates $20 or more will get a free t-shirt. Group expires November 23rd. Contact (502) 962-5487 for more information. 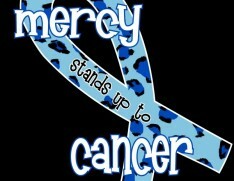 One of Mercy Academy's senior service groups focus is on cancer patients. As an indirect service group we have created a team to walk with us on November 23, 2013 at the St.Jude walk. We want to give back and do what we can to help the people in our own community. We have a goal of raising $1,500.00 but we are pushing for more than that. We are just regular students with huge hearts and big goals. As a class we know we can make a significant difference, but we beed help from YOU! 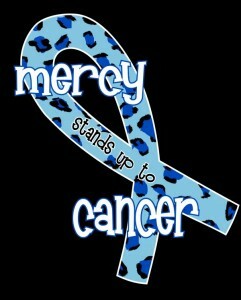 Below is a picture of the t-shirt design we have created for those who want t-shirts. INDY OR BUST!! Please join us for a tasty treat on September 14th and help the Lyndon Lightning Senior Football Team make their dream come true of playing on the Colts field in Lucas Oil Stadium come true. Frozen Yogurt at Sweet Savannah's is the perfect treat after a long, hot football game. 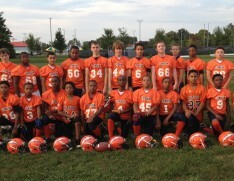 The senior football team is made up of boys ages 11-13 from all over the city. It's not only a great way to raise money for our Indy trip in November but a great way for the boys to spend time together. Every year at the end of the season, the boys get to watch a Colts game and then play on the field of Lucas Oil Stadium. It's such an amazing trip for them...not to mention the parents. Some of our kids are on scholarships to play and it makes it tough for the parents to find the extra money for this amazing trip. Sweet Savannah's is thrilled to help the boys at the Lyndon Lightning Senior Football Team in making the trip to play on the field of Lucas Oil Stadium in Indianapolis possible! 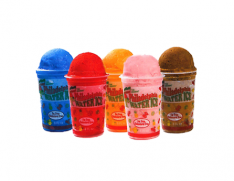 Sweet Savannah's will donate 10% of our entire daily sales on September 14th to the team. Monetary donations to go directly to the team will also be accepted. So grab your friends and make sure you stop by for a tasty treat at Sweet Savannah's this coming Saturday! 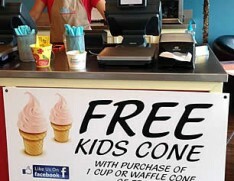 Beginning on June 25th, and, venture we say, for the next few months, we are offering free kids cone with a purchase of one cup of one waffle cone of froyo - each week, Mondays through Thursdays, 2PM to 7PM. 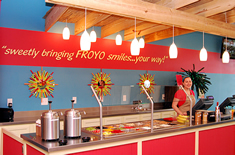 Stop by for a cup of froyo goodness! Fundraiser for for River City Thunder Baseball Team - 10% of Daily Sales! ALL DAY LONG TODAY, March 1st, 2013 - Sweet Savannah's is hosting a fundraiser event for River City Thunder Baseball team! 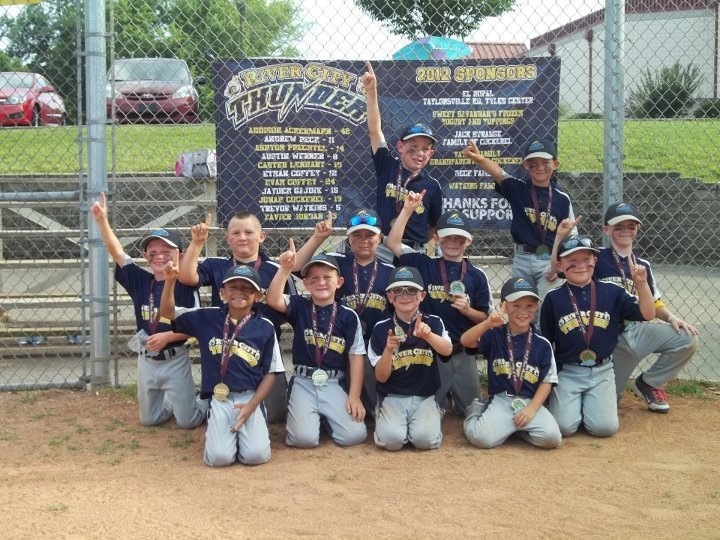 We will donate 10% of our today's entire day sales to this wonderful group, so come join us - treat yourself and help fundraising for the activities planned for the River City Thunder Baseball team! Interested in hosting your fundraising even with us? Get in touch! LEO Weekly: Sweet Savannah's is the... Best Twist on the Genre! 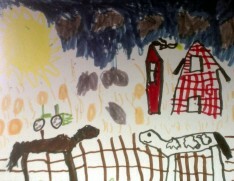 Comments Off on LEO Weekly: Sweet Savannah's is the... Best Twist on the Genre! 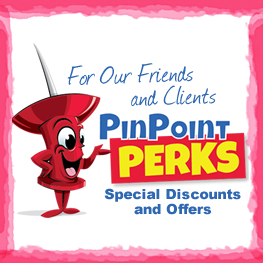 The froyo-and-toppings concept can get old fast — especially when you patronize more than two of these places a week. Fortunately, Sweet Savannah’s changes the formula enough to offer customers a new experience. There’s a YoNana Split, a cute take on the traditional banana-based dish. And this local shop provides containers full of “bottoms” — pound cake, brownies and waffle cone pieces — to line the bowl before you put in the yogurt. Though other stores offer these foods as toppings, Sweet Savannah’s knows that digging into a yogurt cup with a slab of cake at the bottom is a completely different experience. Comments Off on Face Painting Fun! 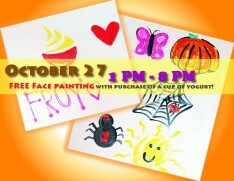 October 27th, 1PM to 8PM - we are having FREE face painting with the purchase of a cup of yogurt!